Obituary for Robert C. Wilhelmi | Anderson-Long-Klontz Funeral Home & Cremation Services, Ltd.
Rockford, Passed away on Wednesday, May 30, 2018 . at OSF St. Anthony Medical Center. Born October 29, 1929 in Rockford to Merlyn and Evelyn (Dove) Wilhelmi. Bob lived all of his life in Rockford, marrying Julie A. Larson-Stockton in Rockford on December 8, 1972. Following his discharge from the U.S. Navy in 1951, he owned Rockford Freight Service until he retired in 2004. 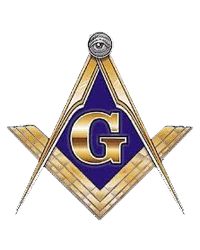 He was a member of Rockford Masonic Lodge #102, Freeport Scottish Rite Bodies, Tebala Shriners were he was part of the Ritualistic Divan and Tebala’s Air Squadron, also he was a member of the Rockford Power Squadron. Bob had a passion and love for flying and sailing. Survivors include; wife, Julie; son, David Wilhelmi, Boston; daughters, Diane Wengryen and Elizabeth Paulson both of Rockford; step children, Jeffrey (Kari) Stockton, Rockton and Jamie (Al) Nicholson, Texas; grandchildren, Tammy (Charles) Siebert, Brian Wilhelmi, Lindsay (Jason) Duggan, Amy (John) Williams, Tara Nicholson, Adam (Justine) Nicholson, Jennifer Stockton and Tobi Flippo; brother, William M. (Judy) Wilhelmi, Rockford; several great grandchildren and several nieces and nephews; predeceased by his parents and step daughter, Jodi Flippo . Memorial visitation will be on Tuesday, June 5, 2018, in Anderson-Long-Klontz Funeral Home & Cremation Services Ltd, 6825 Weaver Road, Rockford from 2:30 p.m. to 3:15 p.m. when Masonic Services will be conducted by Donald Kimes P.P. Memorial services at 3:30 p.m. with Rev, Jane McChesney, pastor of Tabor Lutheran Church, officiating. Cremation Rites accorded. Memorials may be made to Shriner’s Hospitals for Children, c/o Tebala Shriners, 7910 Newburg Road, Rockford, IL. 61110.